Born on June 30, 1941, Verda Toledo is a potter from Jemez Pueblo. 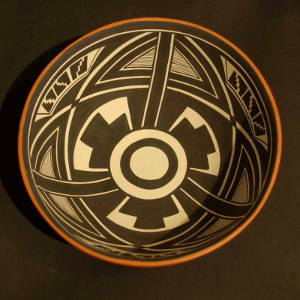 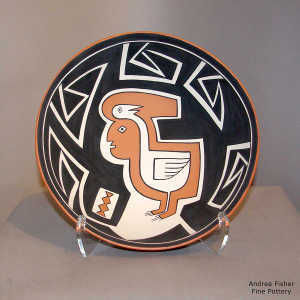 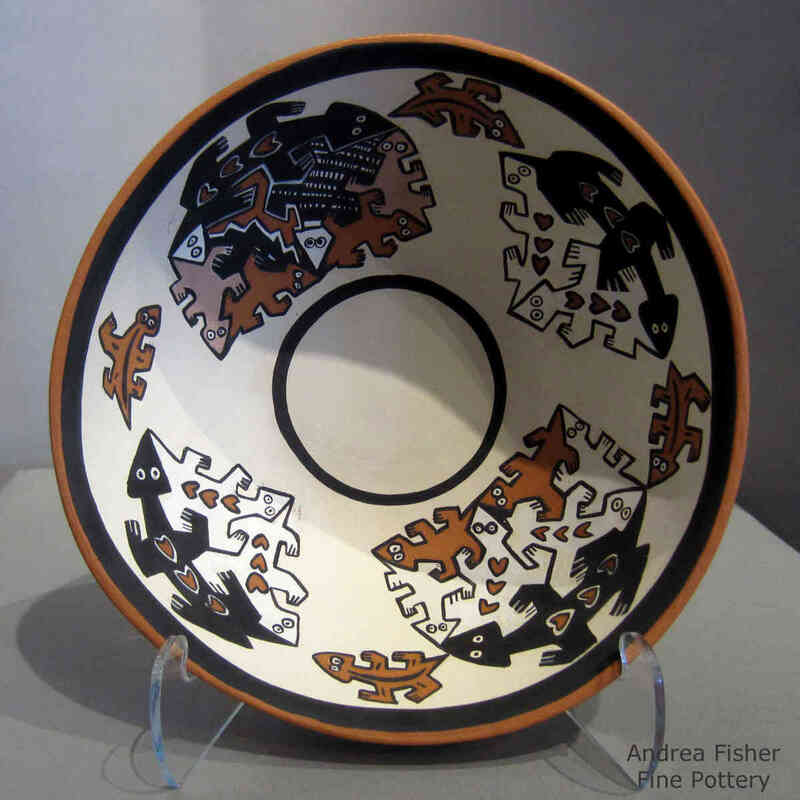 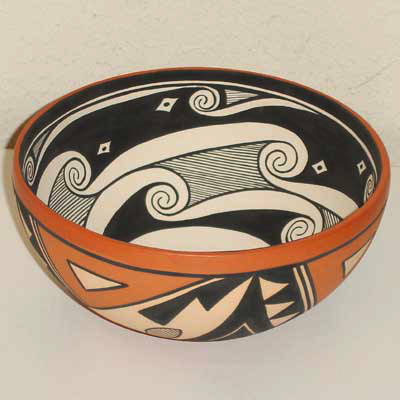 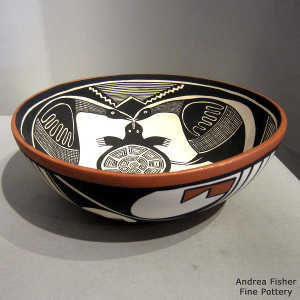 She began making pottery around 1995 and brought a whole new genre of Jemez pottery to the marketplace: completely matte surfaces on bowls and plates. 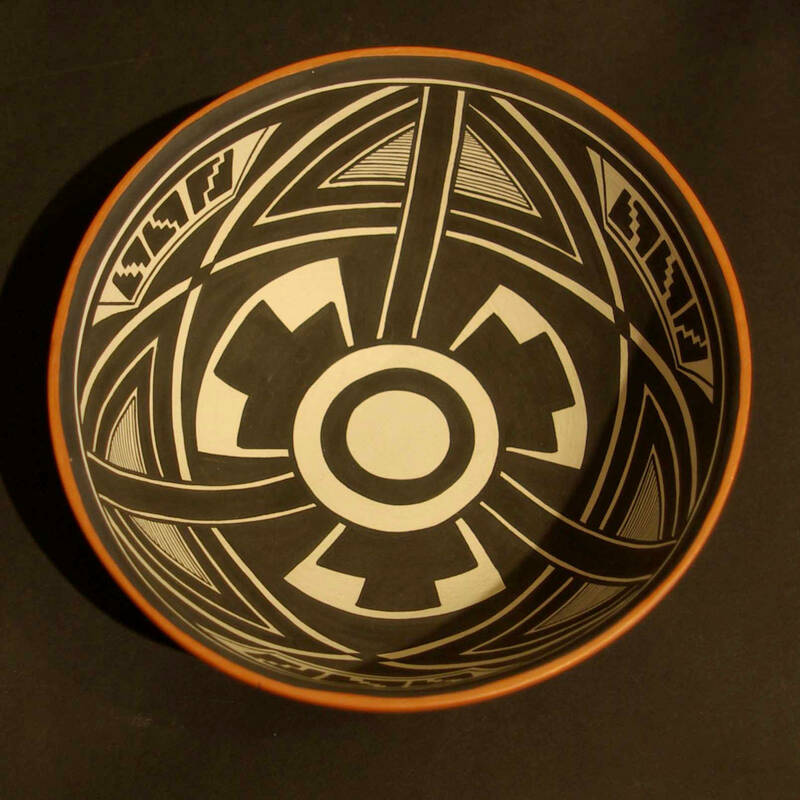 This was probably the newest thing in Jemez pottery for hundreds of years, probably because she learned the traditional methods of making pottery from Santo Domingo Pueblo potter Thomas Tenorio.